Over 1000 hymns for the church, home, and school. 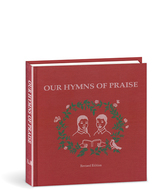 Several distinctive features of this hymnbook are a children's section, hymns of Anabaptist martyrs, and hymns by Mennonite writers. Handy size in spite of the large number of songs. 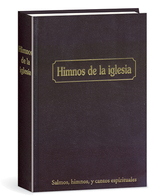 Shaped notes. 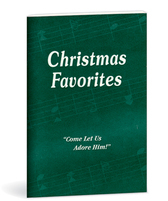 Fifty-four Christmas songs—some old favorites, some new or less familiar—here in one little book. You'll find it invaluable for caroling and a good addition to family reunions. 54 songs. A standard of excellence in Mennonite hymnals. 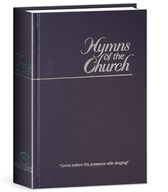 A collection of 657 sturdy hymns that have stood the test of time. Shaped notes. This collection of 161 selections from the Christian Hymnal is a nice little songbook for small-group singings. Shaped notes. 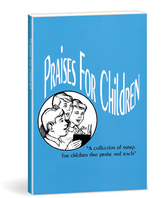 Contains 152 songs and 17 exercises especially for children in grades 1 to 6. Shaped notes. 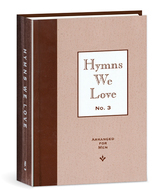 A hymnbook of 816 songs suitable for the home, school, and church. 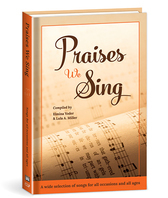 There is a wide selection of new songs and songs by Mennonite writers. Shaped notes.